We Do Anything in Glass and Mirror! 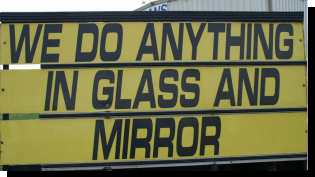 Dan’s Enterprises LLC can handle all of your glass and mirror needs (installation, repair and replacement projects) and a whole lot more! 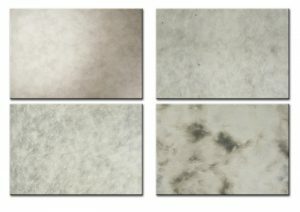 Check out our Gallery for some examples of our custom glass work. 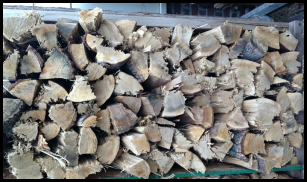 Serving both residential and commercial clients, we also offer many specialty Services like firewood sales, bag & pallet sidewalk and road rock salt as well. 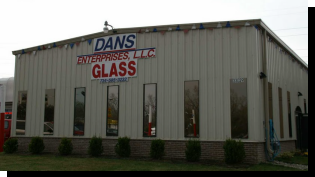 When you call Dan’s Enterprises LLC, you can expect professional experience and quality service. We offer fast and efficient snow removal services including shoveling, salting and plowing from the 275 to Telegraph and from Warren Rd to the 94 as illustrated in the map. 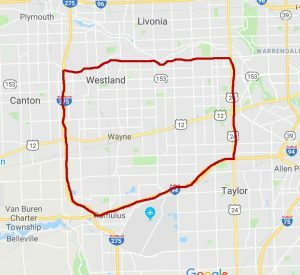 This area covers Wayne, Garden City and Inkster, as well as parts of Westland and Romulus. During our over 35 years of service throughout the Wayne County area, we have prided ourselves on offering the best customer service and most affordable rates. We have always put the customer first with fast and courteous service. Contact Us today to discuss your project. We will always provide you with a free estimate and professional advice from the experts in glass, mirrors and a whole lot more! We invite you to read what just some of our Satisfied Customers have to say. Dan’s Enterprises Does Anything in Glass & Mirror … Including Antique Mirrors Cut to Any Shape & Size! 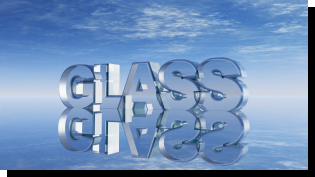 Whatever your home glass and mirror needs, we have you covered with our custom cut glass to best suit your home improvement needs. Contact us to discuss your next glass and mirror project today! Whether you have an office, retail store, manage a fleet of vehicles or any other kind of business, we can cater to all of your glass and mirror requirements. Contact us for a free estimate on how we can make your business more inviting and efficient. We also offer Firewood Sales! 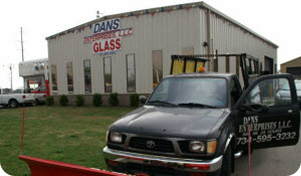 Dan's Enterprises did such a great job installing our storefront security glass that we have retained their services since then for all of our residential glass needs too.